As of June 27, 2017, citizens of Antigua and Barbuda will need a visa to visit Canada. From that date, any existing electronic Travel Authorization (eTA) issued to a citizen of Antigua and Barbuda will become null and void, and affected individuals who had previously been issued an eTA will no longer be able to use that eTA for the purposes of travel to Canada. The government of Canada has determined that the small Caribbean nation, which has a population of less than 100,000, no longer meets the criteria for a visa exemption. While the government’s official press release did not elaborate on this point, recent media reports have highlighted that the country’s Citizenship by Investment Program allows international investors and their families to obtain citizenship, and therefore a passport, for either a contribution of $200,000 USD, or a real estate investment of $400,000 USD, or an investment into a business of $1,500,000. Applicants to this program could apply without having any previous ties to Antigua and Barbuda. ‘Canada continues to welcome visitors from Antigua and Barbuda, while protecting the integrity of our immigration system and ensuring the safety of Canadians,’ stated the government in a press release. Approved visa applicants typically receive a multiple-entry visa, allowing them to visit Canada as many times as they wish, for a period up to 10 years. For each visit, visa holders may stay for up to six months. The government states that most visa applications (about 80 percent) are processed within 14 days. Individuals with travel arrangements to come to Canada before July 11 will be treated on a priority basis at the visa office in Port of Spain, Trinidad and Tobago, the closest visa office to Antigua and Barbuda. Alternatively, applicants may also apply for a visa online as of June 27. 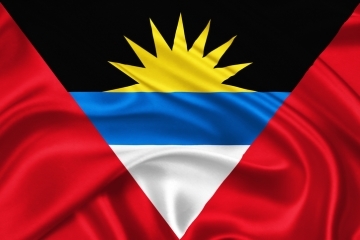 Citizens of Antigua and Barbuda currently working or studying in Canada can continue to stay in Canada for as long as they are authorized to do so on their work or study permit. Study and work permits, as well as visitor records, remain valid. However, such persons who plan to travel outside Canada and then re-enter will need to apply for a visa to return to Canada. In the lifetime of the current Liberal government, a number of countries have actually moved from being visa-required to visa-exempt (at least for some citizens, depending on their previous travel history to Canada and country of citizenship). Such instances include Brazil, Romania, Bulgaria, and Mexico. International investors and entrepreneurs looking to immigrate to Canada through a business immigration program may compare the various programs on offer throughout Canada. To determine what you need to do to visit Canada, use the Visiting Canada Tool.